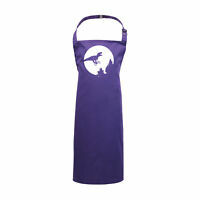 Enfants Dinosaure Violet Tablier. 3-6y. Payement by Paypal/chq or PO accepted.